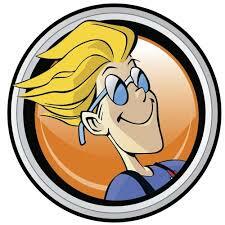 Board Game Geek is one of the best sites for information board games. Consider this the Wikipedia of board games. The front page is a bit hectic with tons of forums, active contests, the Hot-list, and various other links. Once you have decided on a game, each entry has a plethora information. Want to know how many player the community suggests for optimum play for a game? It is right on the top of the page along with designer, publisher, and a cache of other general information. Below this you will find a description, pictures of the game, videos of various aspects of the games, and more. For your money (which is nothing since you can access the internet for free at a library) this is your best resource for information on board games. Once I have read about a game and want to learn more about it I usually head straight over to the Dice Tower Youtube page and look for a game review. Tom Vasel and his team of expert game reviewers are amazing at giving concise reviews of board games and their components. If you are looking for more of a walk-through, there are a few other good places to go on Youtube as well. Rodney Smith and his family have a video series called Watch it Played. Typically these are very in-depth walk-throughs of more popular games but they do a great job of explain the game play and the production value is amazing. When I am looking for more obscure game walk-throughs check out Rahdo Runs Through. Rahdo’s production value is kind of low and he is all over the place but it is a good starting point for seeing how mechanics come together in a game. 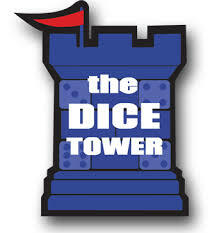 My favorite from among the above listed Dice Tower podcasts are the main Dice Tower podcast, FliptheTable, The Secret Cabal, Kicking the Habit and Ludology. The Secret Cabal is what I used to help me decide what games to buy as they give the most rounded reviews of games, in my opinion. The important thing to remember when looking for information on board games is to never just look in one place. You will never be able to get enough info on a game (especially if you are looking to buy) from just once source.